Yesterday I wrote a detailed post about the recent IBM 2011 Global CMO study, which offered a variety of interesting findings. The first of the four key challenges mentioned that CMOs believe they will be facing moving forward was the massive explosion of data, and how they as CMOs reckon with that. As the study mentioned, we create 2.5 quintillion bytes of data a day — so much that 90 percent of the world’s data today has been created in the last two years alone. Put your head around that piece of data. Hence, the increasing volume, variety and velocity of data available from new digital sources like social networks, in addition to traditional sources such as data and market research, tops the list of CMO challenges. The challenge, of course, is how to analyze these vast quantities of data to extract meaningful insights and then use them to improve products, services or the customer experience. One way to help with corporate Web sites is through Web analytics. IBM has invested in this space through its acquisitions of both Coremetrics and Unica (which had an enterprise Web metrics solution entitled “NetInsights”). Forrester Research recently placed IBM at the head of the Web Analytics pack in its most recent Wave report on the subject. Forrester Research recently published their Wave report for Web Analytics, and in so doing named IBM has one of the Leaders and, in fact, putting IBM in the lead position on its Wave chart. Not to say that IBM didn’t have some solid competition. 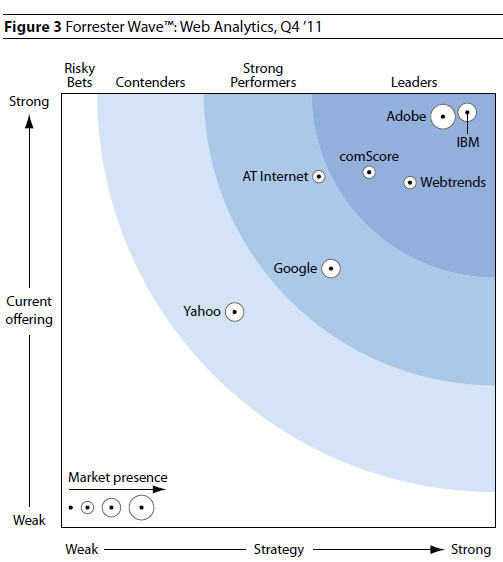 Forrester noted four vendors lead the market, including Adobe, comScore and Webtrends. 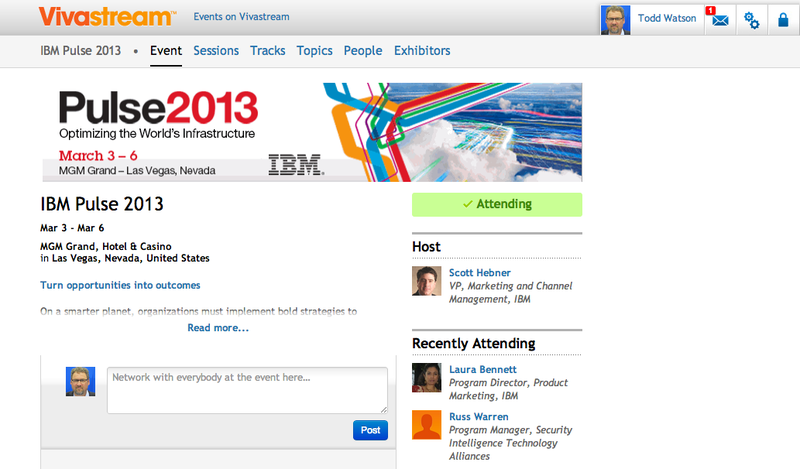 In the Wave, IBM had perfect scores in corporate strategy and a top rating on current offering. This validation comes at less than 12 months following the acquisition of Coremetrics and Unica (forming the Enterprise Marketing Management portfolio), and provides further market recognition of IBM’s Smarter Commerce initiative. The Digital Marketing Optimization Suite is a key solution supporting this initiative. While this Wave focused specifically on web analytics, IBM’s real strategic commitment is in helping organizations respond to shifting consumer and business trends. In this way, IBM’s web analytics offerings are considered a critical component of the Smarter Commerce initiative, designed to transform how companies manage and adapt to customer and industry trends such as online, social and mobile shopping. Leadership ratings for IBM’s Digital Marketing Optimization Suite come as a tribute to the powerful combination of capabilities from Coremetrics and Unica NetInsight, now a single on-demand offering that fuses customer profiles, web analytics, and digital marketing execution to enable marketers to turn site visitors into repeat customers and loyal advocates by orchestrating a compelling experience throughout each customer’s digital lifecycle. IBM. Since our previous evaluation, IBM acquired both Coremetrics and Unica in 2010. IBM has consolidated these companies into its Enterprise Marketing Management software division, and product portfolio integration is under way. IBM is incorporating the complementary and notable features of Unica NetInsight into a merged web analytics solution based on the Coremetrics platform. To stay ahead, IBM must execute on its vision for enterprise marketing by completing the product integrations in progress, gaining market traction for major initiatives such as Smarter Commerce, and creating synergies between web analytics and other IBM assets such as eCommerce, business intelligence, and predictive modeling. Go here if you’d like to learn more about this report and to learn more about IBM’s enterprise marketing management strategy.